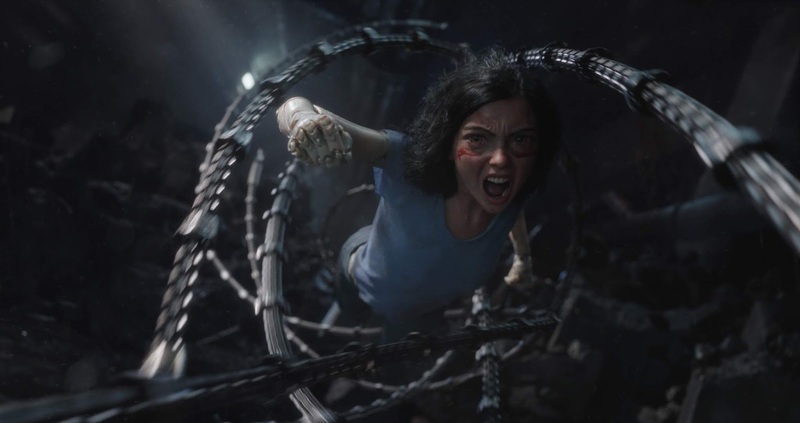 "Alita: Battle Angel" exceeds expectations with its immersive visuals, bombastic choreography, and a whole lot of emotional heart. We wished we could have spent more time in Iron City but alas the film had to end. Finally for the first time, Hollywood finally gets a manga-based live-action film made that simply feels right. 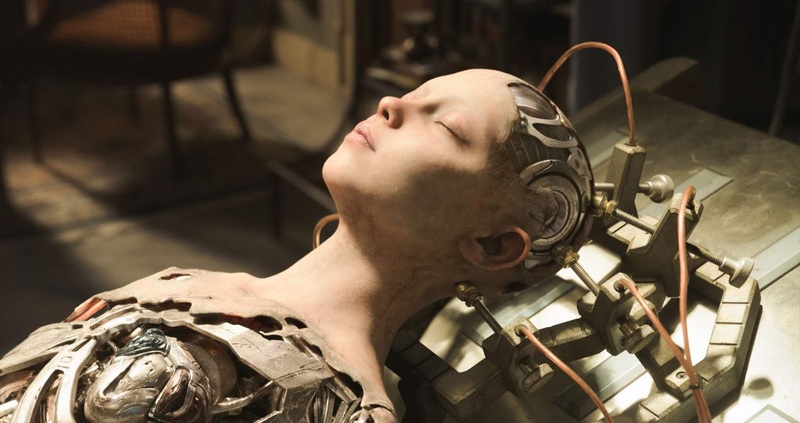 When cyber-physician Dr. Ido (Christoph Waltz) finds a barely alive cyborg Alita (Rosa Salazar) in a scrapyard, he finds a way to awaken her by molding her into a new body. Unfortunately, even with her brain intact, Alita has no memory of who she is. 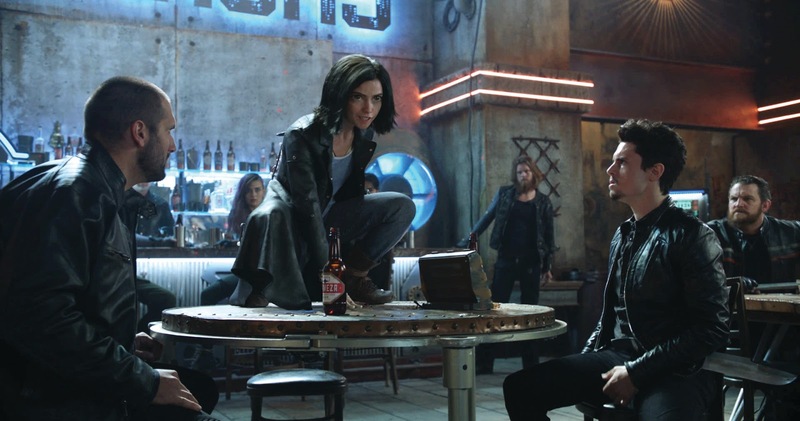 As Alita learns about the treacherous life in Iron City, she finds out that she has an innate ability to fight. 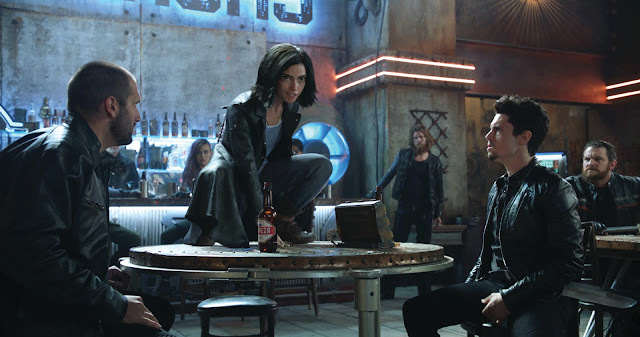 But soon news spreads about the unique abilities of Alita and the powerful Vector (Mahershala Ali) and his boss Nova decides to come after Ido and Alita as Nova believes she is the final survivor of a war waged more than 300 years ago and that the technology within her is priceless as it is dangerous. This is the rare film experience that we wished it was at least three hours long and not the two hours that it was. 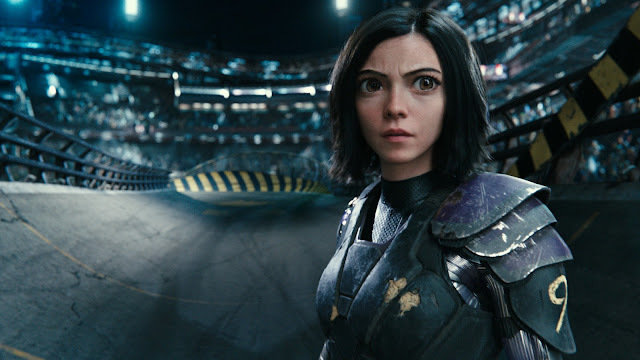 "Alita: Battle Angel" was able to immerse us into its world and its lore and had us wanting more and more. But we have to admit, this is also partly due to the fact that the film ends without answering a lot of questions we had about Alita's back story and that there's really no clear conclusion to the film. This could, in fact, be a good indication that a sequel is in the pipeline but it limited our overall satisfaction from the film. Besides the restrained screenplay, everything else was actually awesome. The highlight of the film, to no surprise, are its visuals. WETA Digital, DNEG, and Framestore did an amazing job as usual especially bringing Alita and the other cyborgs to life. In fact, you'd probably be hard-pressed to distinguish the real actors from the digital ones throughout the film. Besides the epic visuals, the fight scenes are another highlight which not only featured top-notch choreography but the scenes themselves were clear, crisp, and simply breath-taking to behold. Beyond the visuals, the performances were also great. We didn't expect this but we actually found ourselves emotionally invested in a lot of characters and scenes throughout the film. Don't let the beautiful visuals fool you into thinking this will be a shallow experience. Overall, "Alita: Battle Angel" finally proves that a manga adaptation can be great. There's no denying that the film will charm you with its fantastic visuals, loveable and unique characters, and heavy emotional core.